S.O.S. Electrical (1998) Ltd. has been locally owned and operated for over 25 years. We are pleased to provide commercial, residential, and industrial services that include sign repair, computer cabling & hook up, farm service, and trenching. Give us a call today to get started on your electrical installation project. 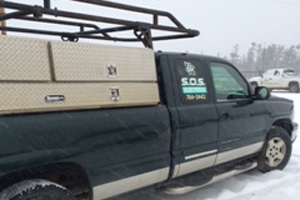 We ensure safe service at every job—our number one concern is our safety and yours for any size project. 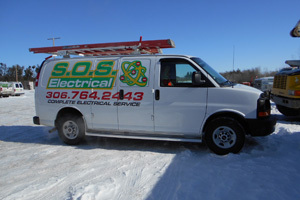 As a member of the Prince Albert & District Electrical Contractors Association (PADECA), S.O.S. Electrical (1998) Ltd. has developed a positive reputation in the community with a team of qualified professionals that get the job done right the first time.